Reissue of the 1968 (Trojan subsidiary) "Big Shot" label LP by The Tennors & Friends, showcasing the pick of the Tennors'’ Self-produced material including the hit single "Ride Me Donkey." 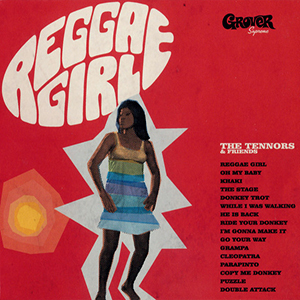 In addition to The title track (One of the first tunes to feature the word reggae), this collection is a sweet selection of borderline rocksteady/early reggae collaborations with high-ranking Jamaican artists and an early appearance by future Tennors singer Ronnie Davis (who also appeared on the Version City Rockers "Darker Roots" album.) Also includes 4 late 60s/early 70s bonus tracks, most on CD for the first time ever.The original release of this album was named "One of the most Collectible LPs ever" by Record Collector Magazine.